A good quiche is hard to beat, but it's about time the classic recipe got an upgrade. And that's where we come in. 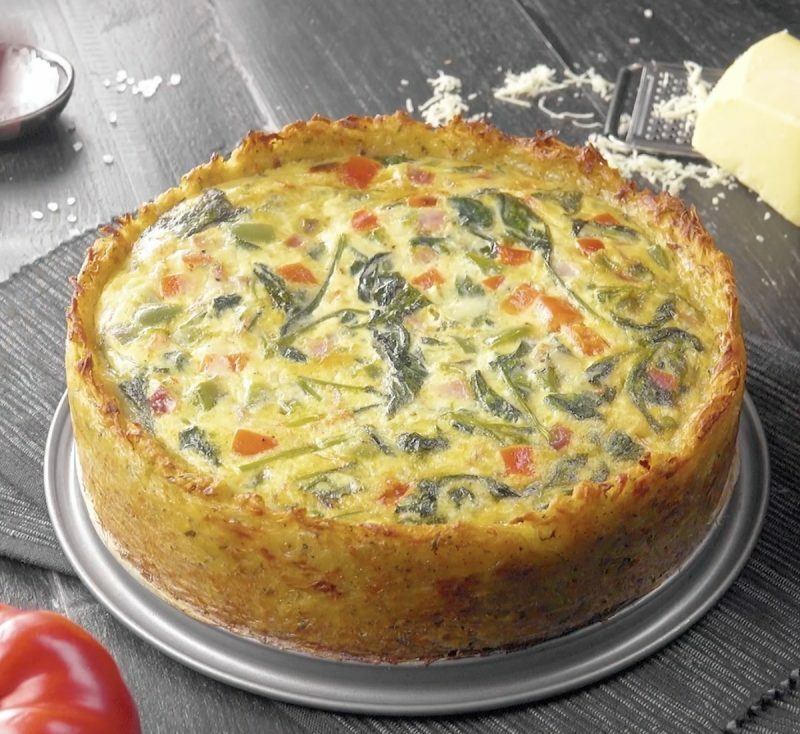 Instead of a standard pastry crust, we've opted for something a bit more filling in this unique quiche. You'll love the hearty addition of potatoes and plenty of colorful veggies featured in this tasty dish! 1. Preheat the oven to 350°F. 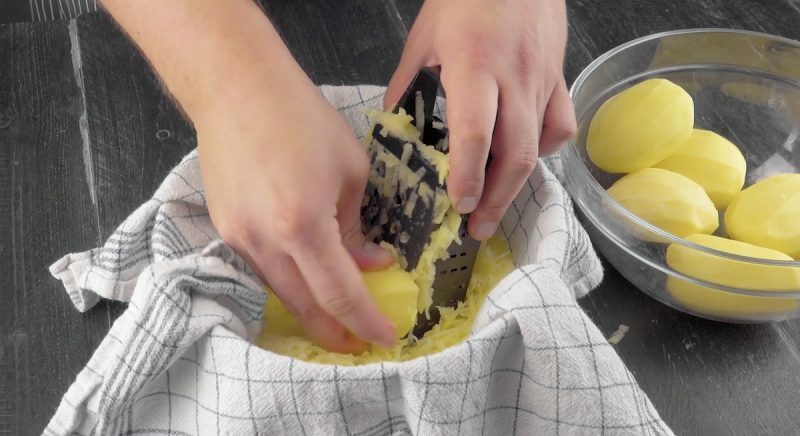 Peel the potatoes, line a bowl with a clean dish towel, and grate the potatoes on top of the towel. 2. Bring the towel together and wring the liquid out of the potatoes. 3. Put the shredded potatoes back into a bowl, add the eggs, garlic, Italian seasoning, salt, and pepper, and mix well. 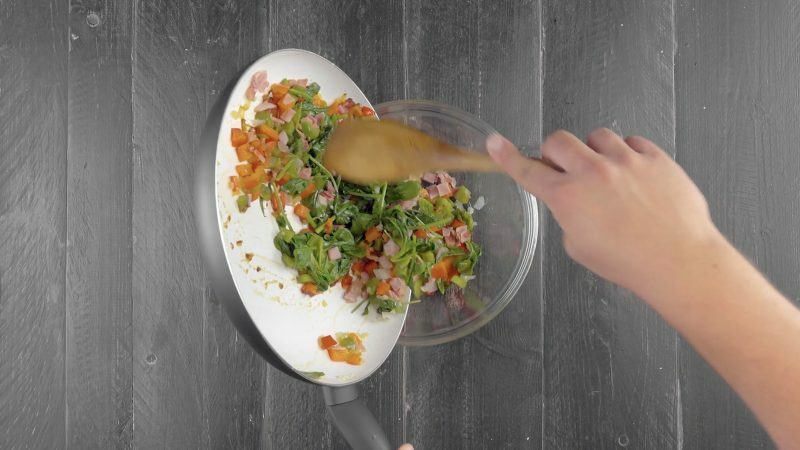 Line a springform pan (ø 9 inch) with parchment paper and firmly press the potato mixture on the base and inner wall of the pan. 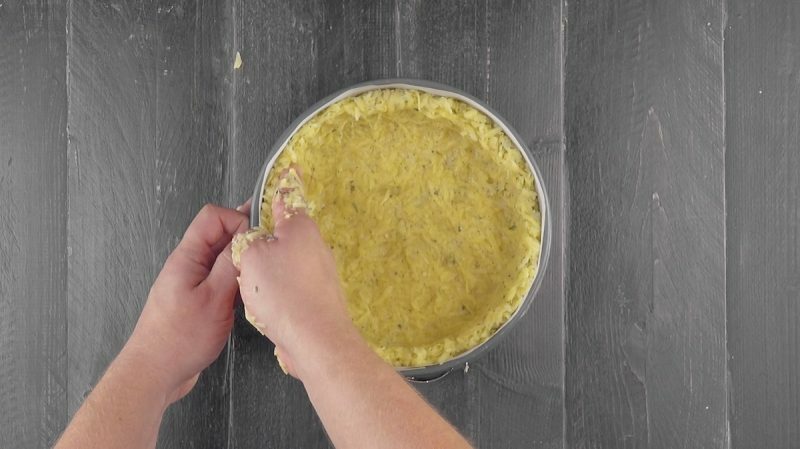 Bake the crust for 25 minutes. 4. Meanwhile, prepare the filling. Heat the oil in a pan and fry the onion, bell peppers, ham, and garlic. Finally, add the spinach and cook it down. 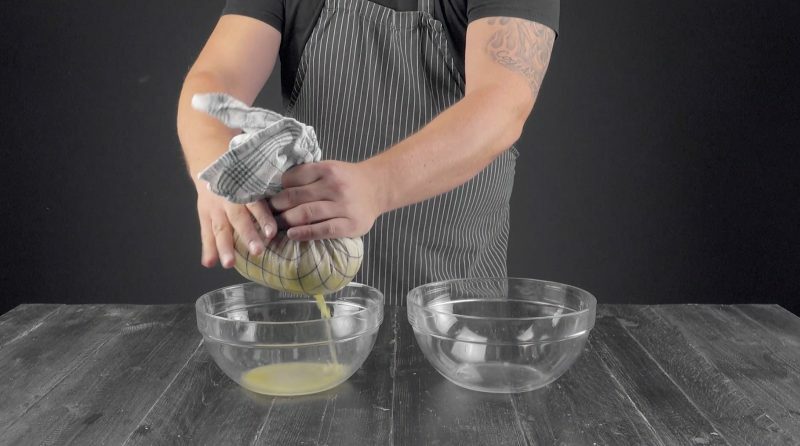 Then pour the mixture into a bowl. 5. Add the eggs, milk, Swiss cheese, and pepper to the filling and mix well. Pour the entire mixture into the pan and bake at 325°F for 45 minutes. Fresh from the oven, this quiche looks absolutely delicious and just smells wonderful. Who could possibly resist?! You can find the recipe for the Macaroni Spinach Tart featured in the bonus video here.